My month on the Whole 30 Program (no gluten, sugar, soy, corn, alcohol, grains, legumes, or additives) has come to an end. I'm excited to share some of the tricks I learned to help make clean eating easier. I'm hoping the tips in this post will help guide you through any version of eating cleaner: Gluten-Free. Dairy-Free. Sugar-Free. Whatever it may be, you can definitely do it. First things first. Get your mindset in the right space. You. Can. Do. It. I know the idea of changing up your diet can create anxiety, annoyance, and even fear. I'm here to tell you it really does not have to be complicated, and your meals do not have to be boring. When someone decides to remove something from the diet such as grains, dairy and/or sugar, the first question is 'What can I eat?' Visions of salads all day every day begin to haunt them. Trust me, I didn't eat all of those things mentioned above (dairy, grains, sugar, etc.) for 1 month and I found plenty of delicious things to eat. However, it does take a little planning ahead to not fall into the salad rut. Plan ahead, but don't go crazy about it. What do I mean by that? When you are starting out, just plan 1 week worth of meals. I'm not going to lie, when I first sat down after deciding to do the Whole 30, I did get super overwhelmed about where to start. I started going online, looking at cookbooks and blogs----information overload. Start Simple. Pick a cookbook or a website (resources below). Find 3-5 recipes you might enjoy. Make a grocery list. Hit the store. Cook. Once you see that it's not that bad, it may motivate you to continue onward. Think about it. Once you have your new go-to recipes, it's actually quite simple. I recycle recipes all the time. So, it's not like you need 7 new recipes to get through a week. Plus, each meal should provide leftovers. You will actually find yourself in the kitchen LESS often by making meals with leftovers in mind. I like to plan so at least 3 recipes per week are 'one pot' meals. Healthy meat, veggies, and fats in either a casserole, crockpot, or stovetop recipe. If the recipe is a little light on the veggies, I simply cook,steam, or roast up a couple of varieties to store in the fridge. Meal 1: Paleo Pizza Casserole from PaleOMG. Hands down one of the easiest and tastiest recipes. You can change it up by topping the casserole with any pizza topping you enjoy. I often add mushrooms and jalapenos on top just before popping it in the oven. You can sub ground beef for the sausage, but just be sure to season the beef with something like 'Italian Seasoning' (you can find at any grocery store) otherwise you lose some flavor. Meal 2: Spinach Porktastic (or Beeftastic) Meatloaf from Nom Nom Paleo. Besides meat, this recipe has tons of healthy spinach. It does call for bacon on top so be sure to seek out clean bacon. You can find Pederson's Whole 30 approved bacon at many health food stores. It's seriously delicious and doesn't have all the additives (including sugar). If pork isn't your thing, subbing beef works for this recipe. Meal 3: Crock Pot Chicken Tacos. Normally, I use a recipe from Against All Grain, but she doesn't have her recipe online. This one uses almost all the same ingredients. I don't make this recipe on Sunday. I just prep all the ingredients so I can toss them into the crockpot on Tuesday or Wednesday. Like I mentioned above, if the meals seems a little light on green veggies, I simply make sure to always have some sort of cooked/steamed/roasted vegetables on hand. Do you need a 'meal prep' day? While this actually sounded like my worst nightmare when I first thought about it, I actually LOVE that I'm not in the kitchen every single day making lunch and/or dinner. A few hours in the kitchen on Sunday makes my weeknights much more pleasant. I get to enjoy time with my husband rather than thinking about 'what are we going to do for dinner?' each night. Plan ahead. Check out the restaurant online first so you have a general menu idea or choose a place you already know offers gluten-free or paleo options. Those options are often healthier, and they will help eliminate the guess work when trying to decide what to eat. Let your supporters (friends, relatives, significant other) know what you are doing. My husband, friends, and relatives knew what I was doing and fully supported me in my efforts. They never made me feel awkward when I ate out with them. If you have a support team, I find it helps sooooo much. When ordering keep it simple. If you want to avoid temptation simply order your meal without the temptation. Get your hamburgers wrapped in lettuce and don't even have that bun within reaching distance. Or, turn that burrito into a burrito bowl and leave out the tortilla. I always try to carry some kind of bar, fruit, or nuts with me in case of emergency. Let's face it. Life happens and sometimes you get caught in a situation where you are hungry or hangry (rawr!) and need food immediately. I find Epic Bars or Lara Bars work well. Rx Bars are also highly regarded but I have yet to try them. PLEASE remember that bars should only come into play when you are in a bind. Do not use bars to replace your daily meals. You want well-rounded, whole food meals. Also, the Lara Bars (blueberry muffin, lemon, apple pie) are my favorites and have the simplest ingredients, BUT they still have sugars (from dates) so try not to overdo it with them. Also, some Lara Bars have added sugars so be sure to read your labels. Be sure to give yourself some serious credit for taking steps to eat healthier. Remember, it's all about balance :-) If you are just looking to clean things up a bit, remember that 80-20 is a great rule of thumb. Eat healthy 80% of the time so you can indulge 20% if you want. If you eat healthy during the week, then you can indulge on the weekends and not feel guilty. However, if you're doing a strict program (such as Whole 30) or any elimination diet, then you really do want to stick to it 100% in order to see if that food is impacting your health in a negative way. If you suspect something like gluten or dairy is creating issues, you really do need to eliminate it 100% for at least 30 days. People often make the mistake of taking something out for a few days, or even just a week, and then when they don't notice any significant health shifts they just assume that food is not an issue for them. The body often takes some time to adjust to the changes. Many problem foods create inflammation in the body. That takes TIME to be reduced once the food is removed. So, be patient with your body when making food changes. Most of these resources are grain-free because I recently finished my Whole 30, but feel free to modify as you see fit. You can always add rice or root vegetables to your plate if you feel you need more carbohydrates than these recipes provide. I did mention some of these resources in my previous post about Whole 30, but I decided to put everything here so you don't have to jump back and forth between blog posts. Please note that I do not get anything for sharing these resources and products with you. I just love them, and they've helped make eating clean easier for me. Did I mention how much I love Tessemae's Dressings? Tesseamae's-- Healthy dressings and sauces. Can often be found at Whole Foods or other healthfood stores. Primal Kitchen- Dressings, sauces, and my favorite mayo source. This company is local to Los Angeles so I can often find their stuff at Whole Foods, but you can always order online. La Croix Water-- I'm on the fence about these because they have 'natural' flavor and they are in aluminum cans, BUT they make a wonderful alternative to sodas. If you're trying to kick the soda habit, and you are craving something fizzy, these can definitely help. These can pretty much be found at any grocery store. I know Target often has them on sale. Riced Cauliflower--ricing cauliflower makes a great substitute for rice when you are trying to cut your sugars/carbs. But, ricing can get messy. Trader Joe's and other stores often carry organic riced cauliflower in the frozen or fresh food sections. Food Processor (grating attachment)- This is invaluable for making above mentioned riced cauliflower. I also use it to make sweet potato hash (which is SUPER delicious) with eggs. Spiralizer- This tool is great for turning things like zucchini into noodles. Again, wonderful for those trying to cut sugars/carbs. I've included the link for the one I own, but I know there are higher end versions available. I hope you find this information and these tools helpful. Please be sure to sign up below to receive more health tips, information, and recipes. You can also follow me @montoyamedicine . 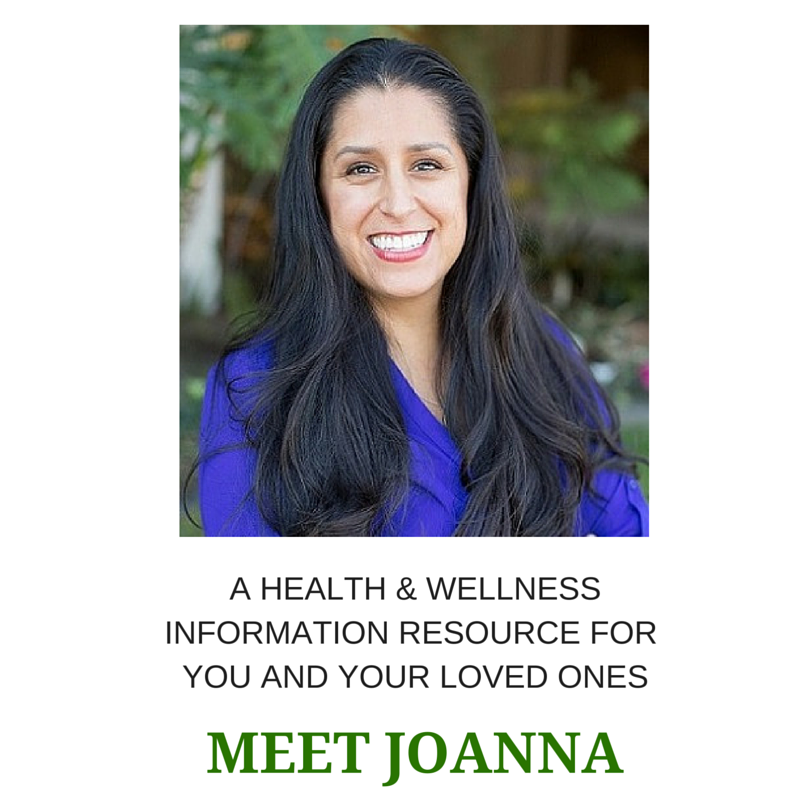 Of course, if you live in the Los Angeles area be sure to reach out to me to set up an appointment if you want more guidance or an individualized plan. Posted on March 1, 2016 by JoAnna Montoya, L.Ac., Dipl.O.M..